Established shortly after the Civil War, the community was granted a post office in 1888. 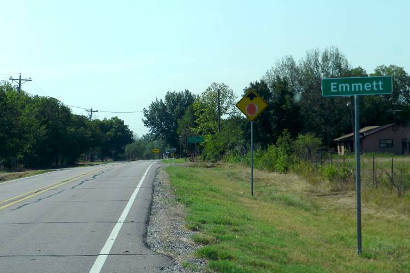 The 1890 census counted 250 residents and while that was a respectably sized town for the era, Emmett had no railroad connection. The post office closed in 1905 and many residents to nearby Frost, which did have a railroad connection. During the Great Depression, Emmett�s population fell to just over 100. 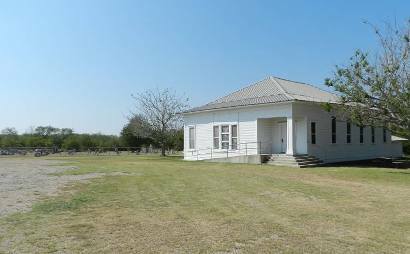 Later, Emmett�s students were bussed to schools in Frost and Emmet became only scattered residences held together by a cemetery and church. Texas Escapes, in its purpose to preserve historic, endangered and vanishing Texas, asks that anyone wishing to share their local history and vintage/historic/contemporary photos, please contact us.